“Kosher food is not what it used to be, and it has everything to do with social media,” answers Chanie Apfelbaum, the creative, millennial-generation force behind the popular kosher cooking blog Busy in Brooklyn, when I ask why kosher eating has changed so much in the last decade. “I say that because I watched it happen. With kosher restaurant Facebook groups, Instagram accounts dedicated to kosher supermarkets and brands, there is a need to keep up a certain standard. 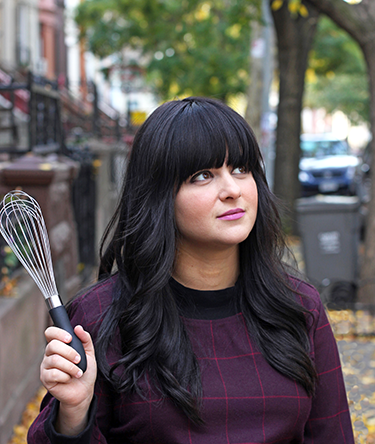 We live in a foodie culture—and the kosher world has followed suit.” Through her Busy in Brooklyn brand, Apfelbaum maintains an active social media presence on Instagram and Facebook. The latest developments—namely, exotic flavor combinations, bold spices, fresh seasonal flavors and progressive adaptations like kosher bacon and charcuterie—form the cornerstone of Apfelbaum’s debut cookbook, Millennial Kosher . A mother of five and resident of Crown Heights, Brooklyn—headquarters of Chabad and home to thousands of ultra-Orthodox Jews—Apfelbaum has a geographic front seat to the evolving kosher scene. Her neighborhood has transformed and transcended tradition, with the launch of critically praised restaurants such as Izzy’s Brooklyn Smokehouse and the upscale Israeli-style eatery ALENbi Kitchen. “Kosher consumers are becoming more demanding, and restaurants and supermarkets have no choice but to up their game,” she offers as an explanation, and the same can be said for cookbooks. Having married into a family with Sephardic roots as well as connections to the Syrian and Argentinian Jewish communities—and being born to an Israeli father—Apfelbaum has grown fond of well-spiced food with world influences, despite growing up eating what she calls overly sweet Ashkenazi foods. But what she is most known for, thanks to her blog, is being a master of the “mashup”: two clashing concepts that converge to create a bold, original dish. Think Spanakopita Bourekas and Stuffed Cabbage Bolognese. To Apfelbaum, she sees marrying disparate flavors and influences as adding “pops of color and flavor” to traditional Jewish fare. Unlike scores of classic kosher cookbooks, Millennial Kosher calls for no margarine, onion soup powder or other unhealthy substitutes. Instead, Apfelbaum introduces products such as coconut oil, porcini mushroom powder and condiments like spicy Thai sriracha. And there is her inclusion of the onetime taboo “facon”—bacon-like strips cured from kosher animals—that is increasingly popular in the millennial world. In the book, marble pancakes (imagine marble cake in a breakfast iteration), Israeli couscous arancini, sweet babka straws and cranberry-glazed hasselback salami make inventive, delicious and sometimes over-the-top indulgent combinations. Sushi nachos sound farfetched—until your eyes hit the accompanying photograph, which shows what looks like an appetizer from a high-end concept restaurant. Pineapple rotisserie chicken (chicken cooked upright, mounted on the core of a pineapple) troubleshoots the idea of how to make a stand-up (literally and figuratively) juicy bird. Featured here are Apfelbaum’s Ramen Shakshuka; a new summer salad with that will be you new go-to as we enter berry season; and Peanut Butter Banana Nice Cream—the type of healthy pareve dessert that is as popular with the vegan millennial as the kosher observer. Enjoy! Ah, shakshuka, you are my all-time favorite breakfast. I love changing you up with different ingredients, and serving you for brunch, placing the pan right in the middle of the table, family style. 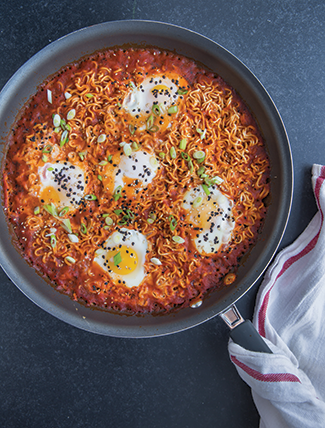 I’ve created so many variations of shakshuka on my blog over the years—from garbanzo bean shakshuka to spaghetti squash shakshuka, eggplant shakshuka and even Mexican quinoa shakshuka. This ramen-based recipe is a super-simplified version, so you can make it with very few ingredients on hand. With a spoon, make a well in the sauce. Crack an egg into a small bowl; gently slide it into the well. Repeat, one by one, making wells and sliding in remaining eggs. Cover the skillet; cook until egg whites are set, 4-5 minutes. Garnish with scallions and sesame seeds. Serve immediately. This is your new must-have summer salad. Forget saving it for Shavuos or dairy Shabbos meals. You’re going to want to make salad for lunch just so you can eat this. Trust me. Prepare the dressing: Place oil, lime juice, honey, basil, salt, and pepper into a blender or food processor; blend until smooth and creamy. 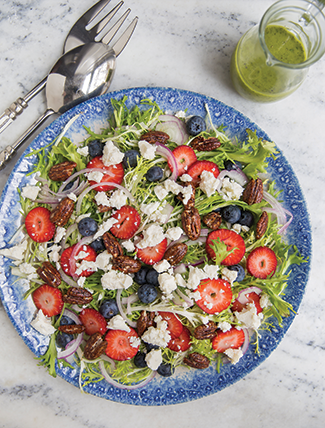 Spread the frisée on a platter; top with strawberries, blueberries, pecans, red onion and feta. Drizzle with dressing before serving. Banana ice cream, or as millennials have dubbed it, nice cream, has gotten me through many after-dinner sweet cravings. I’ve experimented with lots of different flavors, but this one takes the cake. 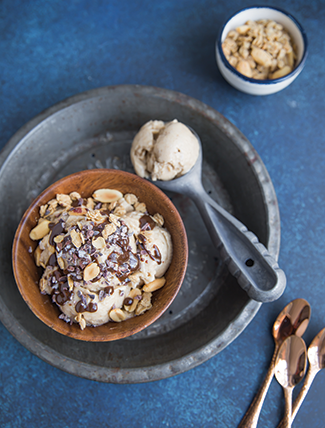 The best part about banana ice cream is that you get to load on the toppings without the guilt. Add some chocolate chips and granola to take it over the top. Peel and slice bananas. Place into a container or ziplock bag; freeze overnight. Place frozen banana slices into a food processor fitted with the “S” blade or into a powerful blender; blend until smooth and creamy, scraping down the sides of the bowl as needed. Add peanut butter, maple syrup, cinnamon and sea salt; process until incorporated. Serve immediately for soft-serve ice cream consistency or freeze until ready to serve. Thaw lightly to soften before serving. Variation: Use almond butter, tahini, chocolate hazelnut spread, or any nut butter instead of the peanut butter.